Environment & Social Welfare Society (ESWSociety) is the National Society of India. Now it’s worldwide known by its impact. 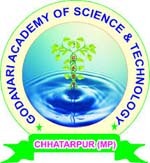 It is devoted to all Environmental Sciences and Biotechnological aspect related directly or indirectly to Human Welfare. It is registered under the society Act 1973, Government of Madhya Pradesh, India on 31 January 2000. It was affiliated on 25 November 2002 with registration number M815/Chhatarpur by Nehru Yuva Kendrya Sansthan, Yuva Kalyan avam Khel Mantralaya, Government of India. It also recognized by Madhya Pradesh Jan Abhiyan Parishad (Planning Department), Chhatarpur 471001, Government of Madhya Pradesh, India since 21 January 2013 with registration number 148.